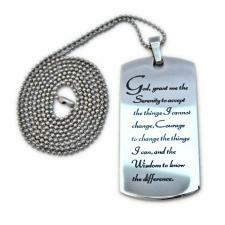 Luxury dog tag necklaces are suitable for men and women. Extra thick, mirror polish solid Luxinum metal. Has the weight and bright finish that you expect from finer jewelry. Completely hand-etched in my workshop using a vintage 19th century technique that I rediscovered.